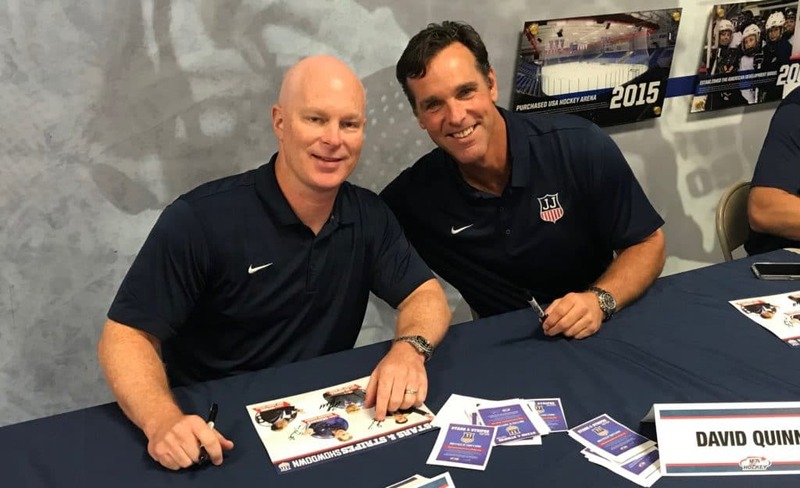 2019 recruit Trevor Zegras scored the game-winning goal in the 2018 All-American Prospects Game in St. Paul Wednesday evening. Completing a give-and-go, the center from Bedford, NY found the net with less than a minute left in the third period, as Team Langenbrunner defeated Team Leopold, 6-4. 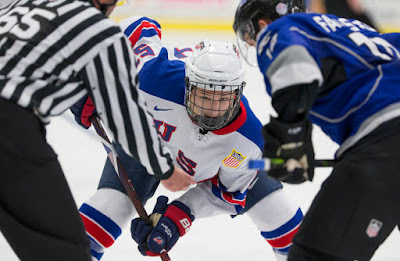 Zegras' NTDP U18 teammates and fellow recruits Case McCarthy and Alex Vlasic also skated for Team Langenbrunner, while 2019 recruit Robert Mastrosimone (Chicago Steel) and two 2020 recruits, Braden Doyle (Lawrence Academy), who assisted on a goal, and Cade Webber (The Rivers School), played for Team Leopold. McCarthy scored a power play goal while Zegras and Vlasic added assists when the NTDP U18s opened their season with a 6-3 win against Muskegon last week. TSN’s Bob McKenzie’s pre-season Top 20 for the 2019 NHL Entry Draft lists Zegras at #19 and Vlasic at #20. Does @tzegras11 have any pet peeves? Who has the best dance moves, according to @Casemccarthy77? 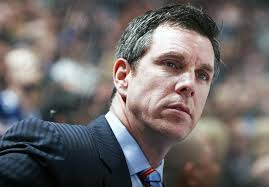 In a USA Hockey Magazine podcast, Penguins head coach and former Terrier captain Mike Sullivan covers a range of topics including the impact of Jack Parker on him from his time at Boston University and the emerging trend of college coaches getting a crack at the NHL level. ► 27 Terriers in NHL training camps. 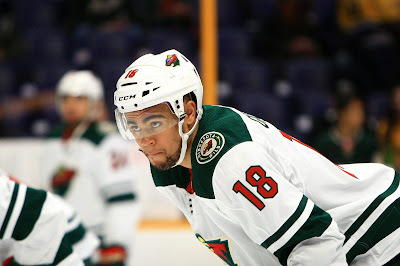 The Minnesota Wild is considering moving Jordan Greenway from wing to center, the position he played much of his junior year as a Terrier. Earlier this week he centered a line with Charlie Coyle and Joel Ericksson Ek. 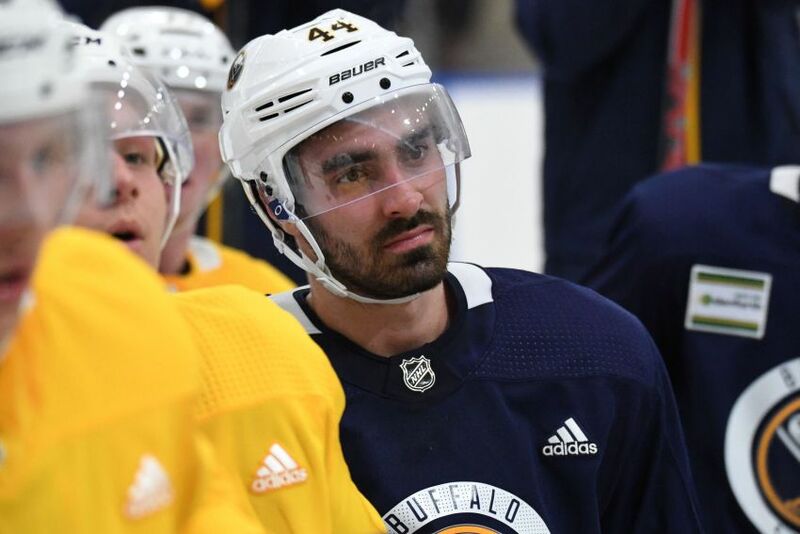 Sabres rookie Brandon Hickey spoke with Buffalo Hockey Beat on the eve of his first professional game, an exhibition contest against Columbus. Alex Chiasson, who won a Stanley Cup last season with Washington, is in the Edmonton training camp on a PTO contract. ● Quinn talks with the media (video) before first game at Madison Square Garden as Rangers coach.